2) not hearing you when you ask them to do something? 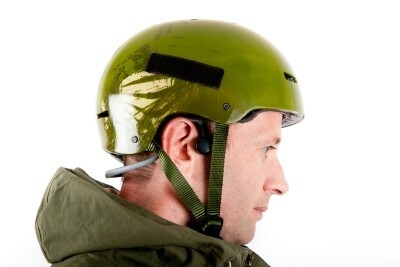 3) not hearing passing skiers/vehicles? If so, Chilli Technology may have the answer – a range of headphones designed to allow skiers, cyclists, runners and pedestrians to retain situational awareness whilst listening to music. The Chilli Air headphones don’t even cover the ears, but sit just in front of the aural cavity, enabling users still to hear their surroundings. Conventional headphones generate sound in the form of an air pressure wave travelling through the outer, middle and inner ear to the cochlea. This part of the ear receives the physical vibrations caused by the sound wave and translates them into electrical information the brain can recognise as distinct sounds. Chilli Air headphones, however, work using bone conduction technology. Developed by the military to allow telecommunications whilst retaining situational awareness, bone conduction technology uses your cheekbones to transfer the signal to your cochlea. There is no impact on your ear drums. They are more comfortable than conventional headphones and safer for outdoor use. 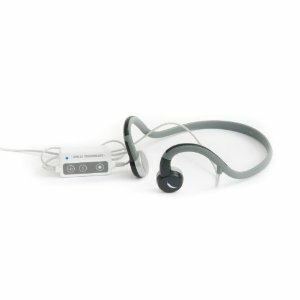 Here at FamilySkiNews.com we have tried chilli Air headphones and they really are effective. Snow/waterproof, lightweight but surprisingly robust, with simple controls – ideal for skiers, snowboarders, joggers, cyclists, pedestrians…. and especially for your grouchy teenager who never seems to hear what you say at the best of times! Chilli Air bone conduction headphones come with a 3.5mm connector for ipod, iphone, MP3 and other audio devices and currently retail at £49.99 (including USB charger and instruction manual); or £36.92 on Amazon. This is just one product in a range of James-Bond style gadgets and gizmos produced by Chilli Technology – ideal gifts for skiers and non-skiers alike: check out the mini action cam, the pen cam and, our favourite, the spy watch.